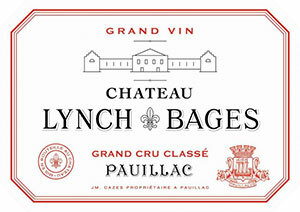 The Château Lynch Bages 2005 has an enthralling graphite and cedar scented bouquet, like a young cousin of the Grand Puy Lacoste. The palate is medium-bodied with fine tannin, one of the most feminine and elegant Lynch Bages in recent years with a lightness of touch on the finish. That is not to say it lacks fruit intensity, but the balance is so assured that is just seems to glide over the mouth. Stylish, assured and meticulous winemaking here. The Lynch Bages 2005 is crisp and full of guile on the nose, aloof at first, but then opening up like a old friend who suddenly realizes who you are. Blackberry, cedar and here, just a suggestion of Hoi Sin sauce. The palate is full-bodied and very well structured with firm backbone. Like previous bottles, it is sulky at first but it soon open up and the tannins are more resolved towards the finish that is sweet and seductive. Excellent. Tasted November 2011.